Youth suicide -- a hush … hush topic, a brave topic to write about, a necessary topic to write about. How many of us have been personally touched by suicide? I have, twice, so it was with hesitation that I began to read. This YA story is Declan’s story. He is 17 and in Year 11 at a selective high school. He is witty, sensitive, a literature wiz and head over heels in love with Lisa. One problem is that Lisa has a Tiger Mother, who Declan nicknames The Kraken. A kraken who beats her daughter when she strays from her mother’s warped ways. A kraken who confiscates her daughter’s phone and sends her away from Declan to live in Hong Kong with her aunt. Something dark happened when Declan was 6, something that has been buried so deep in his psyche that when he needed inner strength, it was too fragile to cope. The narrative moves back and forth, like a mind in chaos, until we as the reader are standing with Declan, wracked with emotional pain, on the platform as the train approaches. He intends to end the pain. With time out in a psychiatric hospital, Declan starts to think about life. He thinks of the ‘wreckage’ he would have left behind ‘in that moment of pure insanity …’ It is through the kindness and understanding of strangers in his ward, in their own dire personal situations, that Declan begins to heal. Through Declan’s breakdown, ‘I went nuts. It happens. It happened to me. It can happen to anyone …’ his friends are given quiet permission to be open and frank about themselves. The positive message is how this experience empowers Declan to own who he is; that he has choices to make and responsibilities to others, but mostly to himself. He learns that life is bittersweet, but you can cope, and that once you open yourself to others and their lives you realise that people are not worth dying for, they’re worth living for. John Larkin is a brave writer. 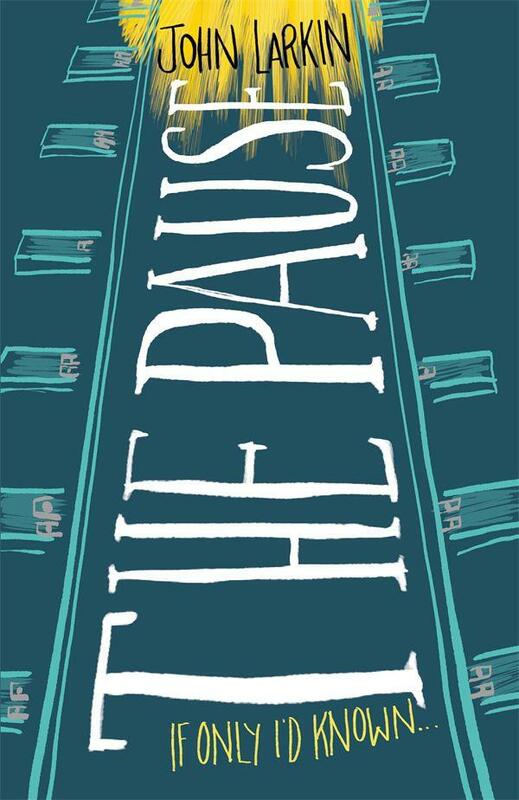 The Pause is personal. It’s as much Larkin’s story as it is Declan’s story. As you read, you come to understand that the heart and soul of John Larkin becomes the heart and soul of Declan. 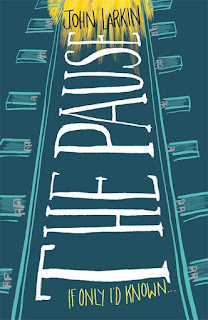 It is a story of hope and the beauty of relationships … because of one essential concept … pause. Larkin’s previous novel, The Shadow Girl, won the Victorian Premier’s Literary Award for Young Adults.